Program #ASSJ001-HAEJ001-PILJ004. Recorded in Bergen, Norway on December 2, 2017. We live in an era of fake news. Fabricated reports go viral on social media. Totally false stories are concocted then tweeted and retweeted. Fantastical theories and wild claims are circulated in cyberspace. It’s as Orwell says in 1984, “The lie became truth.” There is a lot of fire and fury inflaming the news cycle. The term fake news is an all-purpose smear, used by the president and his supporters to deride and dismiss reporting they don’t like. A recent study found that Facebook was by far the platform through which people used to get to a fake news site. The report also noted that older, less educated people were particularly susceptible to fake news. Are facts up for grabs? How are we to navigate the mine laden waters of propaganda and fake news? 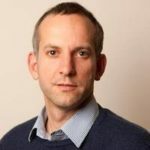 Jonathan Heawood is the founder and director of IMPRESS, an independent press regulator in the United Kingdom. He has previously worked as a journalist and human rights campaigner, and he is a former director of English PEN. He has written on free speech and regulation for various publications. Julian Assange, journalist, activist and computer programmer is the founder of WikiLeaks, the whistle-blowing website. WikiLeaks collects and shares confidential information on an international scale. He sought asylum in the Ecuadorian embassy in London in 2012 to escape allegations of sexual assault. Those charges have since been dropped. Nevertheless, he believes that if he leaves the embassy he will be nabbed by the U.S. and prosecuted for publishing thousands of classified documents made available by Chelsea Manning. In 2016, his work again drew enormous attention when WikiLeaks published thousands of emails from U.S. presidential candidate Hillary Clinton and the Democratic National Committee. The world is becoming dangerously authoritarian. These talks expose how the corporate media, especially the so-called liberal outlets, are now completely devoted to the project of imperialism abroad and suppression at home. You need to stop believing what the BBC, NYT, Washington Post and the Guardian say! 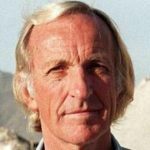 The Pilger interview gives a lot to think about. Eye opening. Heard it this morn on KBOO. Wow! Stunning!